Nasser Munjee was educated at the Leys School in Cambridge UK and then went on to do his Bachelor and Masters Degrees at the London School of Economics, UK. He spent a short while at the University of Chicago USA, before returning to India in 1977. He joined Mr. H. T. Parekh, then Chairman of one of India’s leading development banks – ICICI, to establish the first housing finance company in India – Housing Development Finance Corporation (HDFC) – the first retail institution serving customers directly for their housing needs. Against many odds the HDFC group, as it is known today, grew to be a financial conglomerate with assets over $50billion in banking, insurance, mutual funds as well as its prime business – housing finance. He rose to be an executive director on the Board with wide responsibilities. In 1997, the Finance Minister of India requested the Chairman of HDFC to consider setting up an infrastructure finance company as India faced acute challenges in this field. Nasser was asked to think through this challenge and, as a result, Infrastructure Development Finance Company (IDFC) was born. IDFC charted the course of private investment in infrastructure – a sector that was dominated by the public sector – with great success. Much of the conditions for private investment in infrastructure in India was created by IDFC between 1997 and 2004. Nasser left IDFC owing to disagreements with the Government which intended a nationalization of IDFC. Since 2004, Nasser has been pursuing his own interests in his own way. 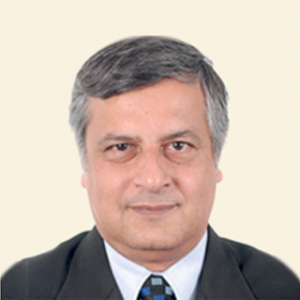 He sits on 10 Corporate Boards in India which include Tata Motors, Tata Chemicals, Britannia Industries, Cummins India, ABB India, Ambuja Cements (now part of the HOLCIM group). He is also Chairman of DCB Bank, Tata Motors Finance and of two other Aga Khan institutions in India. He was the President of the Bombay Chamber of Commerce and Industry – the city’s oldest Chamber of Commerce and he has served on numerous Government Task Forces on housing, Infrastructure and Urban Development. Meera Mehta is joint director of the Center for Water and Sanitation (C-WAS). She is a Professor Emeritus at CEPT University and has 30 years of experience in water, urban development and infrastructure finance. 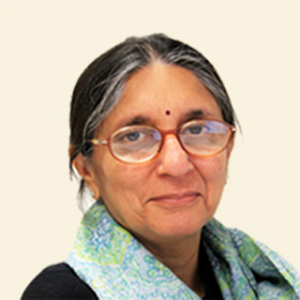 She joined CEPT in 1979 and was the Director of School for Planning at CEPT University, Ahmedabad in 1992, before joining the USAID’s FIRE Project in India (1994-1999) and later the World Bank in India and its Water and Sanitation Program in Africa (2000-2006). She has also consulted for a large number of international agencies, national and local governments, and leading international NGOs. She studied Architecture at under-graduate level and city and regional planning at post-graduate level. She has a doctoral degree in economics. Vipul joined Elevar in 2011, where he leads portfolio analytics and market intelligence. Prior to joining Elevar, Vipul worked with Tholons Capital managing a small fund with a diversified investment strategy while also focusing on startups in the IT/BPO space. Prior to that, he worked with Goldman Sachs in the Investment Banking Division where he focused on the Financial Institutions Group. 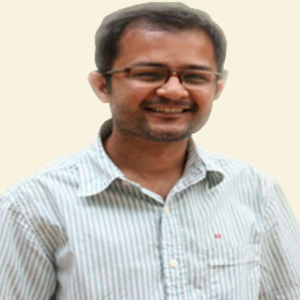 Vipul has provided pro-bono help to social entrepreneurs on business strategy and fund raising. Vipul holds an MBA in Finance & Marketing from The International Management Institute, Europe and a Post Graduate Diploma in Planning & Entrepreneurship from The Indian Institute of Planning and Management, Bangalore. He also holds a B.Sc. from Bangalore University.